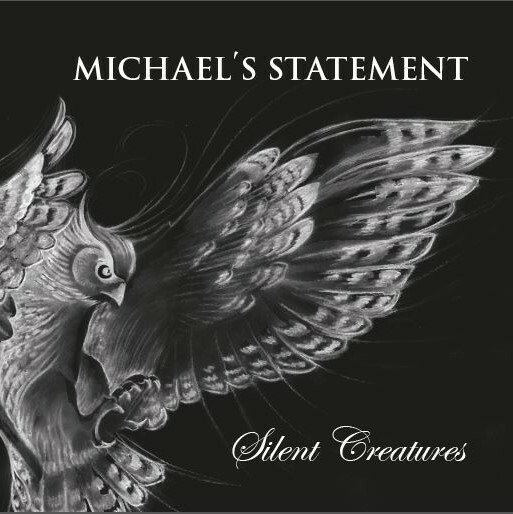 Born in Pforzheim (Germany) in 1975, Michael discovered his love for music around the age of 5. It began 1980 when a friend of his parents bought Pink Floyd´s "Ummagumma". His father did not like the record but Michael asked Hans for a copy of the record. He felt there is something special in this music. Mystic, experimental and aggressive. The young Michael spent much of his childhood listening Genesis, Rush, King Crimson, ELP and more. Michael lived for 3 years (1981-1984) in Africa and there he was inspired by African percussions. He discovered the drums around the age of 4. He had a penchant for drumming on various objects around the house with a pair of chopsticks, so for his 15th birthday, he bought his first drumkit. He played in a rock-blues cover band with his dad for few years. He wrote and produced a lot of rock, jazz and progressive rock songs together with his friends and musicians Goran and Marijan. He played drums on several studio recordings in different musical styles. 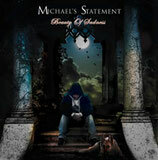 Recording of "Beauty of Sadness"
In 2010 Michael started recording new songs. First he thought it could be the next TNP record. He knew the songs which he recorded will bring him on the next level in composing and recording of progressive music and they would not work with TNP lineup. TNP songs are progressive but not such complex in the harmonies like the new ones he started recording. The idea of the first solo album was born. He thought it could be great to make a record with musicians from all around the world. There were a lot of musicians on myspace who wanted do a record with him. One of the first were Peter Jonasson from Sweden. He recorded a lot of guitars on the whole record and bass guitar on one track. Dave Meros from Spock´s Beard recorded bass guitar for the first track. He gave the right sound with his Rickenbacker bass guitar and some fretless for the flute parts which recorded Paul Checcheti from Ireland. Crystal Lake sounds like a real 70-ties track with a lot of Mellotron and Organ. ”For Mellotron fans this record is paradise” says Michael. ”I used it on every track”. The vocals were recorded by Steve Mills from UK. ”Steve is a fantastic singer in the style of Peter Gabriel and David Bowie.” He was a great choice and he gave the music some special magic with his voice. The opener “Black Sea Incident” sings Art Lip from Berlin who also played trumpet on this song. He gave this song a real dramatic feel with his lyrics and voice. The bass was played by Derreck Higgins from US. Baba Fuma´s Tale is the first instrumental song on the album. 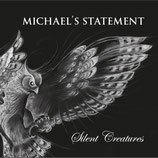 Michael recorded all keyboards, stick, tablas, drums. Peter Jonasson recorded the guitars with Stefan Grob “Groby” from TNP.”Groby knows what I like and I don’t have to say anything... he just records and everything is fine.” M.V. Valentin Alvarez from Spain recorded some great saxophone parts on this one. The song sounds even “bigger” because he doubled a lot of the main melodies. Ray Kurtz from US recorded some fantastic fretless bass guitars. The orchestral ballad “The Old Road Home” is the only song without drums and with acoustic guitars played by Peter and Michael, Steve recorded the vocals and Giulio Cataldo replaced the additional Mellotron which was played by M.V., adding concert Grand Piano and orchestral arrangements. Ray Kurtz played fretless bass guitar. Stefan Grob, “Groby” played guitars on two instrumental tracks “Baba Fuma´s Tale”, “Enter Sadness” and “The Trees”. Groby is since 2005 the guitar player of TNP.